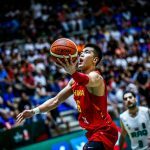 Day 2 of the 2017 FIBA Asia Cup was chock full of brilliantly exciting games. Eight more teams took to the hardwood to play out their openers. Groups A and B had two games each. 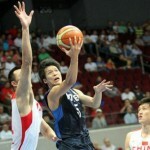 Tournament favorites China and Iran came up with mixed results in their first games of the competition. This the closest game of the night. 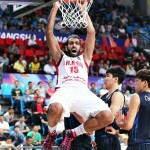 Jordan’s Mousa Alawadi led his team with 16 points to help them edge out Syria. Jordan came together in the dying minutes and was able to amp their defensive intensity at just the right time. 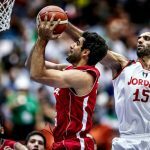 Their strong team effort was able to overcome a huge game from Syria’s Ahmad Alhamarsheh, who topped all scorers with a 25-point explosion. This was by and large one of Iran’s most dominant games in recent history. They stomped on India from the opening whistle and put on display why they are considered one of the favorites to bring home the gold from this event. The Iranian squad leaned on their veteran big man, Hamed Haddadi to dominate in the paint. The unselfish big man facilitated his team’s offense from the post with 20 points and eight assists. Iraq managed to finish the first half with a small, five-point lead over Qatar (24-19). It would be in the third quarter where they would go on a massive run and not need to look back, leaving their opponents in their dust. Both Middle Eastern teams played hard, with Qatar’s Abdulrahman Saad ending the night with a game-high 23 points in a valiant attempt to keep his team in the game. This was both a big upset and a rude awakening for the defending champions, China. 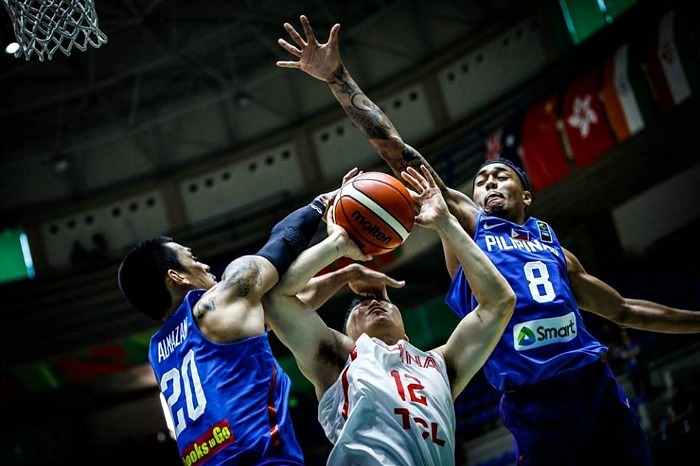 A highly motivated Philippine squad outgunned their Chinese counterparts in what was a revenge game. The Philippines’ star player, Terrence Bill Romeo came up big for his team with 26 points. Despite the game being characterized by impressive offensive sets from both teams, it would be the Philippines’ defense in the fourth quarter that would be the difference maker and secure them the win. 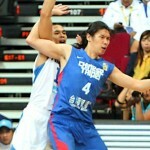 Despite this tough loss, China is still considered to be one of the teams to be a strong contender for that gold medal. For the Philippines, they now have some much-needed momentum from this strong start, as well as psychological edge, should they encounter the Chinese team again in the knockout rounds of the tournament.